The way J and I find out about new places varies. Sometimes we just drive by, sometimes I get emails, but most of the time, we see it on Twitter. In this case, J got a follow from a restaurant she had never heard of. Of course, that was enough of an incentive to do a little research. What we found out was the mysterious Twitter restaurant served wraps and they are close to home. After picking L up from her class on Friday, J asked if I wanted to go somewhere for lunch. She initially suggested Panera, but I asked if she wanted to out someplace new. 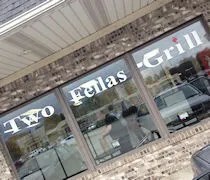 Two Fellas Grill just opened up right near WMU. The shop is on Howard Street at Michigan Avenue across the Street from Campus Pointe Mall. The space used to be home to The Spirit Shoppe but it has now been converted in to a small take out restaurant. The whole menu is wraps. It’s actually a pretty smart business concept right near campus and they’re open to 3:00 AM during the week and 4:00 AM on the weekends….oh yeah, and they deliver. The menu is a little overwhelming at first and it took J and I few minutes to find something that sounded good. J got things started by ordering chicken strips for L and an order of Mac ‘n Cheese bites for her and I.
J chose the Freestyle option which is pretty much a make-your-own type of selection. She chose to go with chicken tenders, lettuce, banana peppers, and BBQ sauce. I found a selection off the grilled chicken section side of the menu. My choice was The Italiano. 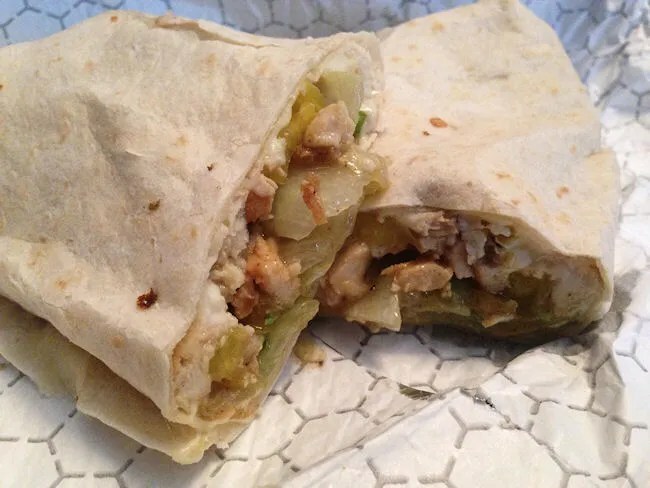 The wrap comes with grilled chicken, banana peppers, Mozzarella, lettuce, tomato onion and Italian dressing. They were actually quite busy when we stopped in although there’s only two tables for dine in. There seemed to be a lot students stopping in between classes or something. It took about ten minutes for our order to be put together as we were about fourth in line once we ordered. When we got our lunch home, we got L started right away. The chicken tenders we ordered weren’t much more than food service tenders, but there were quite a few of them and L seemed to like them. 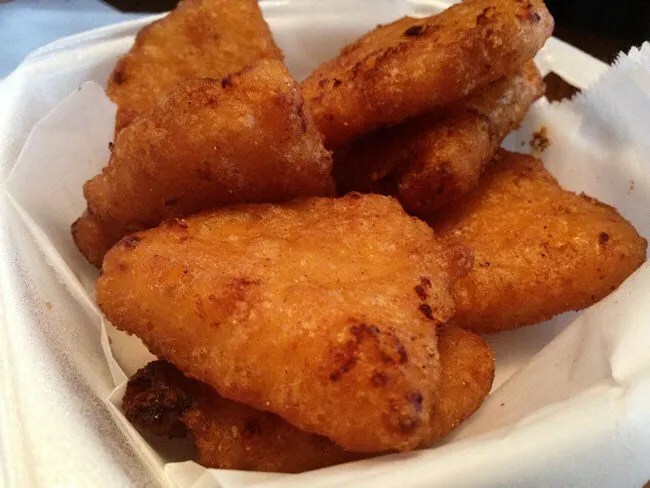 They were the thin ones with a crispy breading. All three of us really liked the Mac ‘n Cheese bites. In fact, I think L ate more of those than J and I combined. Again, they were probably something that can be bought in bulk from a food service plate, but they were a great addition to the meal. Both J and I sliced our wraps in half before digging in. I did that just because I thought it would be easier to eat. J did so with the intention of saving half of hers for later. J said several times that she really liked her wrap. This is the kind of place that is right up her alley. I thought mine was good, but next time I will probably go with a Freestyle. 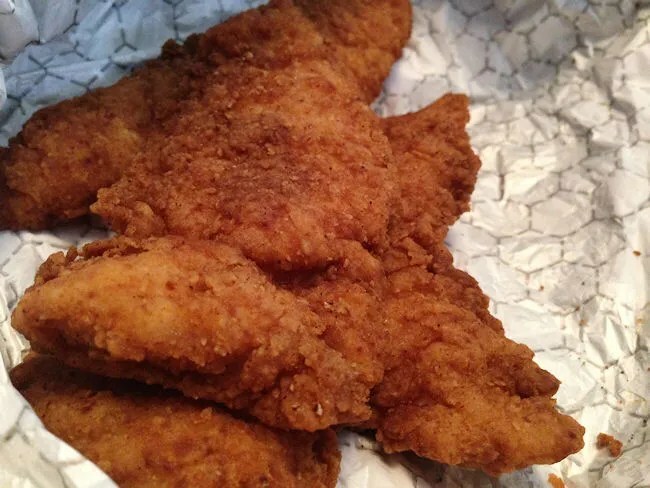 I think I would be happier if I had the chicken tenders instead of grilled chicken. The thing I really liked about this place is that everything was grilled on a flat top. There was nothing put on completely cold. There are two guys standing at the grill and they get a mini assembly line going. At some point, every ingredient in the wrap ends up on the grill including the wrap. 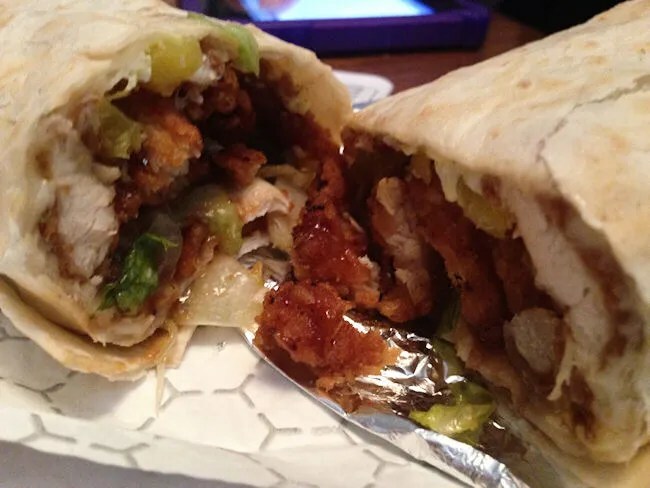 A complaint J has all to often with wraps is that the wrap is cold or the lettuce is cold or something else is inside while the chicken is hot. That’s not a problem at Two Fellas. 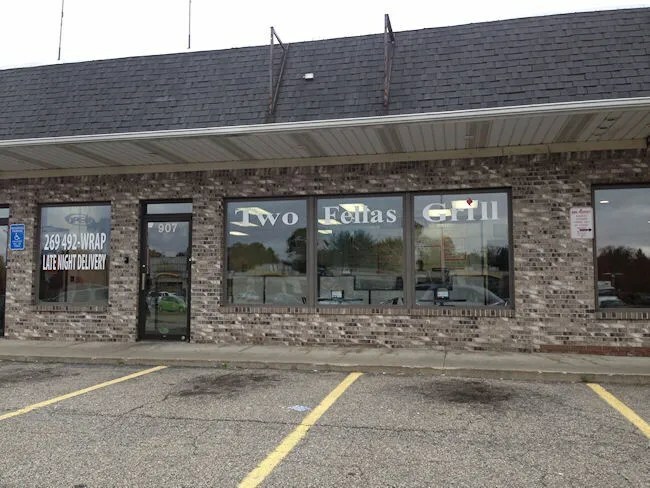 Two Fellas Grill is a good college town concept. One of my biggest complaints with that area of town is that there’s not enough quick late night food options. Two Fellas Grill steps in to that roll with a menu that is pretty unique in this area. Definitely agree. Will be replacing Menna’s for my late night delivery wrap cravings.